Cetiosaurus was a massive plant-eating (herbivorous) dinosaur that lived in the Jurassic period between about 181 and 169 million years ago. Fossils of the animal have been found in England (it was in fact the first Sauropod to be discovered in England), and Morocco. The animal was named by Sir Richard Owen in 1841, the year before he coined the term "dinosauria". Owen choose the name "Cetiosaurus" which means "whale lizard", because he believed at the time that the animal was a marine creature, most likely a large crocodilian. In fact, it was not until 1869 (and then thanks to Thomas Huxley) that Cetiosaurus was recognized as a dinosaur. Cetiosaurus was about 59 feet (18 meters) long and weighed in the region of 25 tons. It's neck/head as as long as its body, but the tail was much longer. It is also unusual in that unlike more advanced Sauropods (like Brachiosaurus), Cetiosaurus does not have hollow bones. African Dinosaurs - Cetiosaurus lived in Europe and Africa. Fossils have been found in England and Morocco. European Dinosaurs - Cetiosaurus lived in Europe and Africa. Fossils have been found in England and Morocco. Cetiosaurus was a genus of dinosaur. "Cetiosaurus" means "whale lizard". This name was chosen by Sir Richard Owen in 1841, because he originally believed the creature to be a marine creature. Cetiosaurus was a member of the Saurischia ("lizard-hipped") order of dinosaurs. What this means, is that although Cetiosaurus was not closely related to lizards, it did have similarly shaped pelvic bones. Cetiosaurus was a Sauropod - a member of a group of related large quadrupedal herbivorous (plant-eating) dinosaur with long necks. Cetiosaurus lived between about 181 million years ago and 169 million years ago, during the Jurassic period. Cetiosaurus was a herbivore (plant-eater). Cetiosaurus was about 59 feet (18 meters) long. Cetiosaurus weighed about 25 tons. 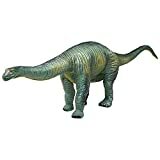 CollectA's replica of the plant-eating Cetiosaurus is lifelike down to the wrinkles in its hide. This sauropod was discovered in England in 1842. Sir Richard Owen, who first described it, named the dinosaur ''whale lizard'' because he believed it was a creature who lived in the water. Fossil remains of Cetiosaurus indicate that it measured up to 52 feet and weighed about 12 tons. This beautifully sculpted, collectible figure from our Prehistoric Life Collection measures 8.7''L x 2.4''H. This beautifully sculpted, collectible figure from our Prehistoric Life Collection measures 5.1''L x 2.6''H. Each prehistoric figure in our collection has been approved by archeologist Anthony Beeson, a well-respected expert in paleoimagery. All CollectA models are individually hand crafted to the highest standards and made with the finest and safest phthalate-free, lead-free materials. Create a natural world in miniature with high quality toy replicas from CollectA. Our mission is to educate collectors and to provide the greatest opportunity for creative play. 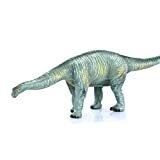 CollectA's replica of the Shunosaurus is lifelike down to the expression on its small, wedge-shaped head. The 10-ton dinosaur lived 170 million years ago during the Middle Jurassic period. This plant-eater had a long tail with a bony club on the end. Paleontologists have unearthed several complete specimens of the Shunosaurus, which has enabled them to study and describe this sauropod in detail. 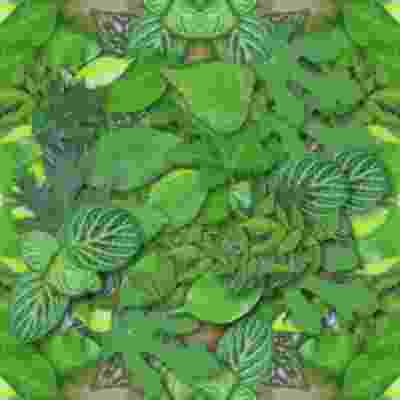 Its name comes from the location where it was found by a group of students in China's Sichuan Province. 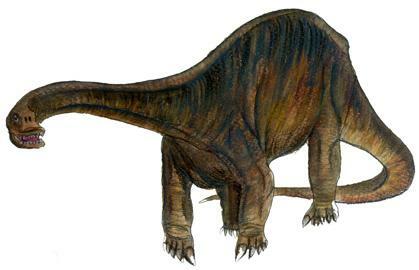 The Shunosaurus measured between 31 and 36 feet in legnth, weigh up to 3.3 tons and ate plants. This beautifully sculpted, collectible figure from our Prehistoric Life Collection measures 6.3''L x 3.1''H. Each prehistoric figure in our collection has been approved by archeologist Anthony Beeson, a well-respected expert in paleoimagery. All CollectA models are individually hand crafted to the highest standards and made with the finest and safest phthalate-free, lead-free materials. Create a natural world in miniature with high quality toy replicas from CollectA. Our mission is to educate collectors and to provide the greatest opportunity for creative play. The lifelike dinosaur will be a great Gift idea. Size: 5.9"x3.5"
Help kids build the nature consciousness. Exquisite dinosaur toys with a mouth able to open and close, ready to jump up to bite. Every boy has a dream of adventure in ancient times.It has been a fashion trend to take a dinosaur figure home. Open your door to the new world and enjoy it.